Evil Elf grabbed the elves and forced them to mine gold in the mine. The elves reported it to the Princess Juliet. They ask for help as soon as possible. Of course Princess Juliet can't leave in trouble their friends and to the rescue your little friends. She must pass all three levels of the game and save the elves from an evil Troll. How to play: use the mouse and hints in the game to find all the elves, and then save them. Be careful and avoid the Troll. Played: 20070. Added: 12-11-2015, 18:18. 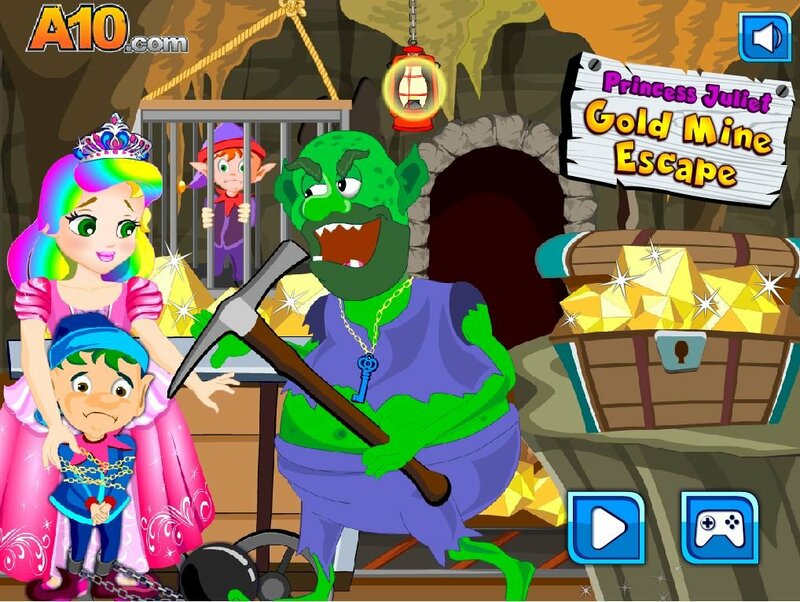 Princess Juliet Gold Mine Escape game.